Rocco will tell you that boating has always been his destiny – after all Barca means ‘boat’ in Italian. As a seasoned boater for over 30 years, Rocco has logged thousands of ocean miles as both charter captain and live-aboard cruiser. He delivered his first boat single-handed from South America to the U.S. and later spent five years cruising the Caribbean Sea and Atlantic Ocean with his wife and two children. Rocco graduated with honours in Sales & Marketing from Niagara College and has a Business degree from UWO. He spent most of his early career in Finance & Banking and then for 10 years as owner/operator of a successful manufacturing firm with over 40 employees. 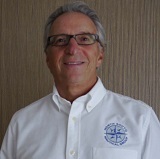 Rocco’s background brings forth a professional and diversified skill set that enables him to effectively serve his clients in every aspect of their boat purchase or sale. Rocco has earned the distinction of being designated as a Certified Professional Yacht Broker, by the National Yacht Broker Certification Program. 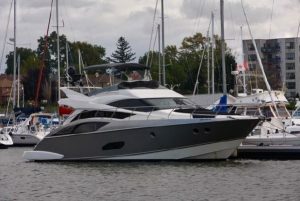 Rocco was formerly with Clift’s Marine Sales/now North South Nautical Group. He started in 1997 and has been the company’s Top Producer since then. 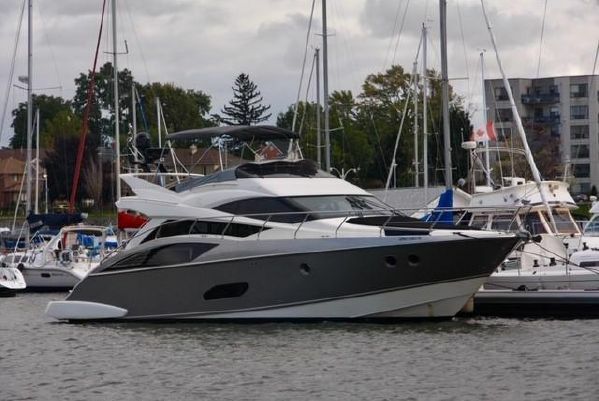 With almost half of his business being repeat customers and referrals you can depend on Rocco’s honest, dedicated approach to help you find a yacht that fits your needs. Priced to sell. Immaculate condition. Meticulously maintained and always in fresh water. Upgraded Triple Volvo Penta IPS600s with only 675 hours. Recent survey [Nov. 2018] says: excellent condition with no major issues. Click here for full specifications and details.